Second Thought Theatre will present an area premiere of “Incognito” by Nick Payne. STT Artistic Director Alex Organ helms this year’s season opene. 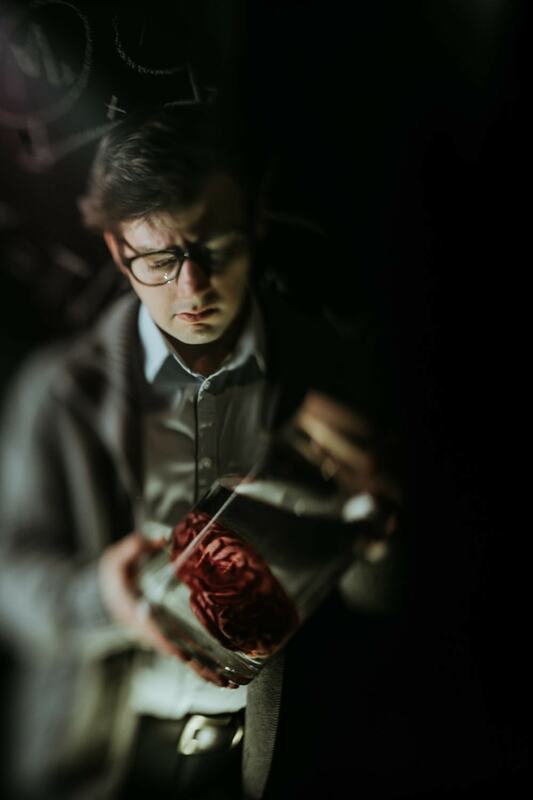 The play features three interwoven stories spanning 60 years that focus on the center of the nervous system—the brain. “Incognito” begins with previews January 30 and runs through February 23. All performances will take place at Bryant Hall on the Kalita Humphreys Campus, 3400 Blackburn Street. When presented with the opportunity to study one of world’s most powerful brains, pathologist Thomas Harvey (STT alum Thomas Ward) couldn’t help but take it—literally. As Harvey embarks on a quest to understand the mind that understood the universe, playwright Nick Payne (Constellations) weaves his journey into a fabric of stories centered on understanding the secrets of the human mind. Through its unbelievable true stories of love, murder, and memory, Incognito explores the untapped mysteries of the mind, which, Payne reminds us, are at times both breathtakingly powerful and devastatingly fragile. Joining Ward and making their STT debuts are Shannon McGrann and Natalie Hebert. Rounding out the four-person ensemble—who play a combined 21 characters across three different timelines—is STT Director of Operations Drew Wall. STT Artistic Associate Aaron Johansen will design lights, and Andrea “Slim” Allmond makes her Second Thought debut designing sound. Melissa Panzarello returns to design costumes, and Amelia Bransky returns as set designer. Incognito opens with previews January 30-31 at 7:30 p.m. Opening and press night is Friday, February 1 at 8 p.m. Pay what you can performances of Incognito will be January 30-31 and February 4; 11, and 18 at 7:30 p.m. PWYC tickets are available at the box office one hour prior to the start of the performance and are subject to availability. Incognito runs through February 23. Tickets to Incognito are on sale now at secondthoughttheatre.com and can be purchased for $25. Second Thought Theatre (STT) provides an intimate and unique theatrical experience by empowering top local theater artists to take risks, and by showcasing writers who boldly tackle the difficult and demanding questions of our rapidly changing world. Second Thought Theatre Presens Area Premiere of "Incognito"
Previous articleMcCowan Attends U.S. Mayoral Conference In Washington D.C.